> Why choose a vespa tour? Nobody else provide such a deeply engaging experience in such stylish, professional and comfortable fashion. In a very short time, you’ll go from one interesting place to another, having more time to know our lands and people’s everyday life. When you’re riding a Vespa, you can easily skip very crowded and touristic spots in order to find places that tourists never find out, such as: best traditional pizzerias, restaurants, historical coffee bar and places for a good “gelato”. > How do I book a vespa tour? how much it cost? > When should I do a vespa tour? Campania has 250 sunny days per year. That’s why every season is suitable for tours. Of course best seasons are autumn, spring and summer. > Where do we start the tours? We’ll pick you up wherever you’re staying in Naples, Pompei, Amalfi Coast or Sorrento Coast. > What should I bring on day tours? Sunglasses, some sunscreen, closed-toe shoes,possibly trousers and a sense of adventure. We provide the elmets! > Can i drive a vespa? Only if you can proof to be an experienced driver. The traffic in Naples is best described as chaotic and streets along the coasts are very winding. All guests on our tours ride a vespa behind our careful, safety-conscious drivers and guide. > Can I bring children on the tour? We’re happy to have children (minum age 12 years) in the tours. With parent’s permission, they are allowed to ride Vespa with our guide or driver. > Which kind of vespa I’ll be riding? We’ve got six different Vespa’s models, from the seventies up to the last confortable 300gts dating back the 2010 and other nice piaggio scooters.We prefer to make our tours on modern Vespas because they are beautiful, elegant and comfortable. 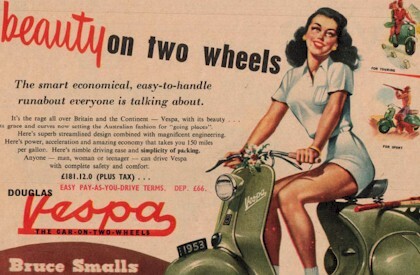 However, if necessary, we can also supply vintage Vespa more fascinating, but less comfortable. Riding Vespa behind any other guide is fully covered by our ensurance. > What is the group size? Our tours run with a minimum of one (1) and a maximum of four (4) persons. > In the event of rough sea conditions or bad weather, will the tours be cancelled and deposits lost? If you are host on an a cruise ship, that due to rough seas does not arrive in port or is late, you are not responsible, deposits will not be lost, if you had already paid. Our policy is the same in case of heavy rain.